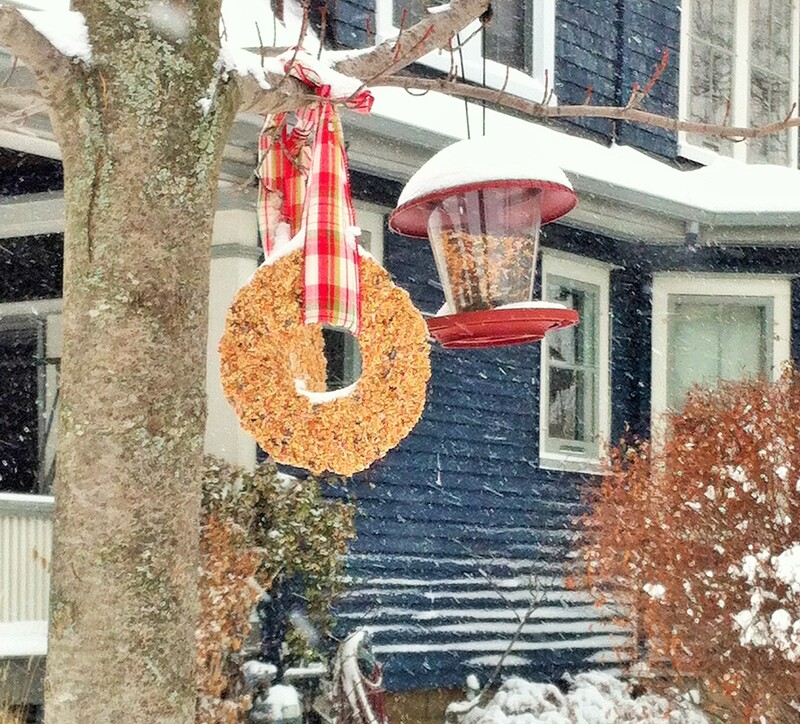 The birds that usually frequent my bird feeders have gone hungry for the last month or so. The two feet of snow in my front yard and my inability to get into my garage where the bird seed is kept has meant empty feeders. 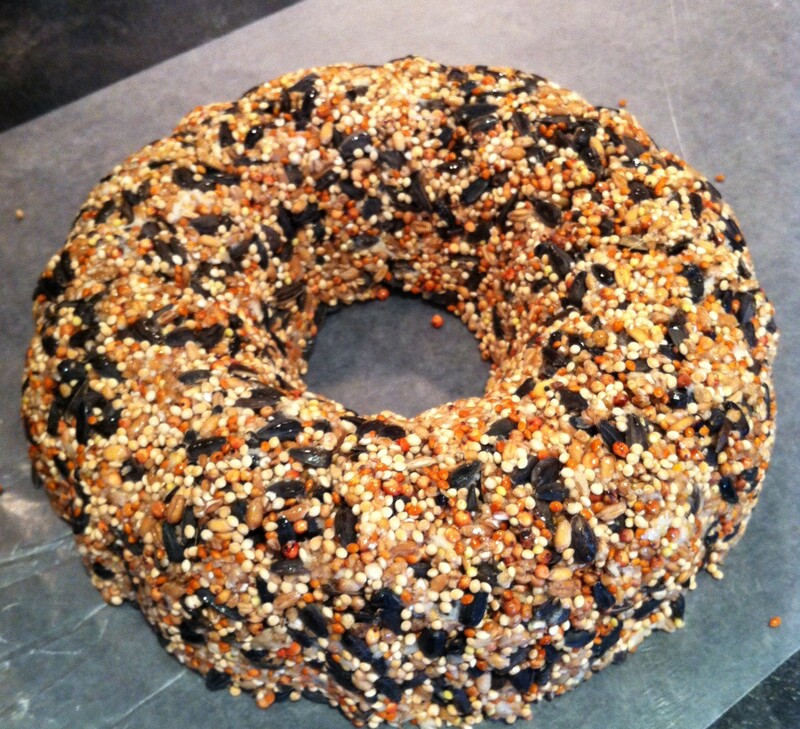 In December I made bird seed wreaths so I wouldn’t have to go out and feed them as often. I think it might be time to hit the pet store to pick up some bird seed so I can make them again. The wreaths lasted for about a week, even in wet weather. Start by sprinkling the gelatin on top of the water.. Let it stand for a few minutes while it blooms. 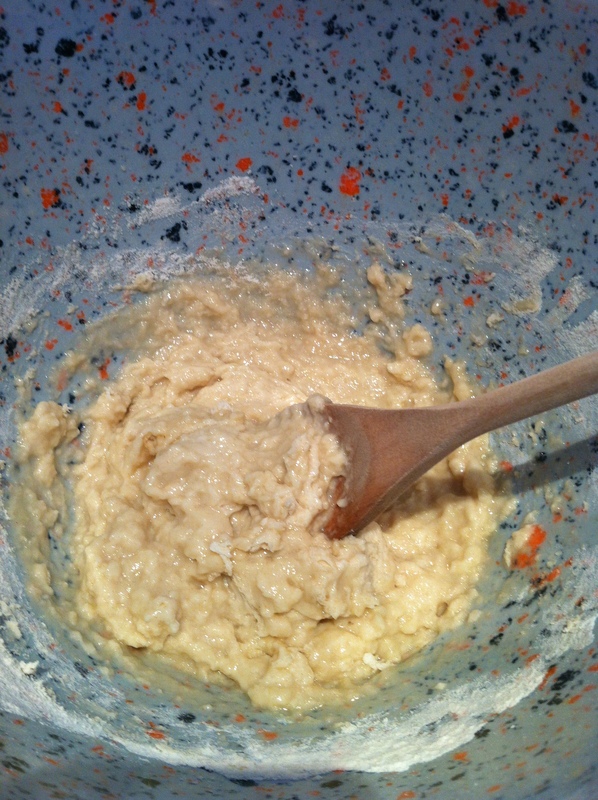 In a separate bowl mix the flour and corn syrup. 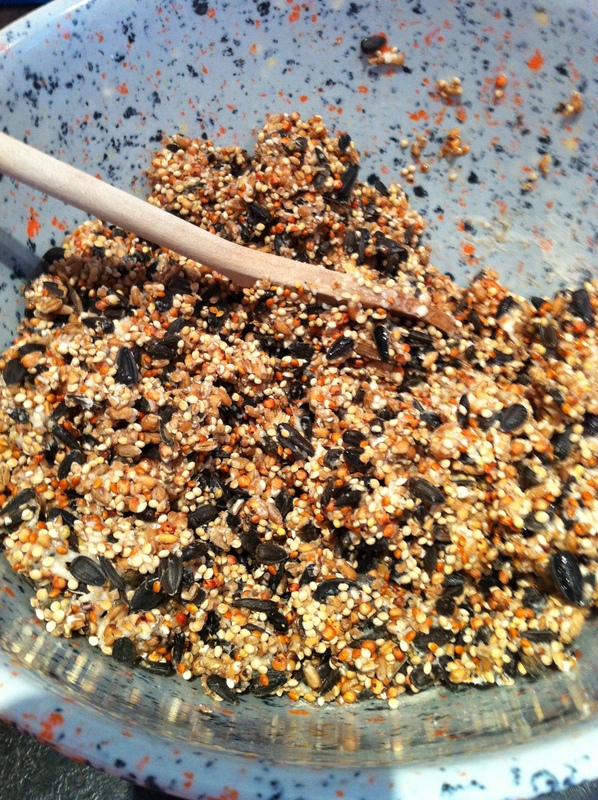 Add in your bird seed and gelatin mixture. Spray the inside of your bundt pan. Scoop your seed mix into the pan and press down so it compacts. Smooth out with the back of a spoon that has been sprayed with cooking oil. Let it harden for at least 30 minutes before you attempt to remove it from the pan. I turned mine out on to wax paper. Let harden for 24 hours. Add a pretty ribbon and you are all set to hang it outside. This recipe makes one wreath. 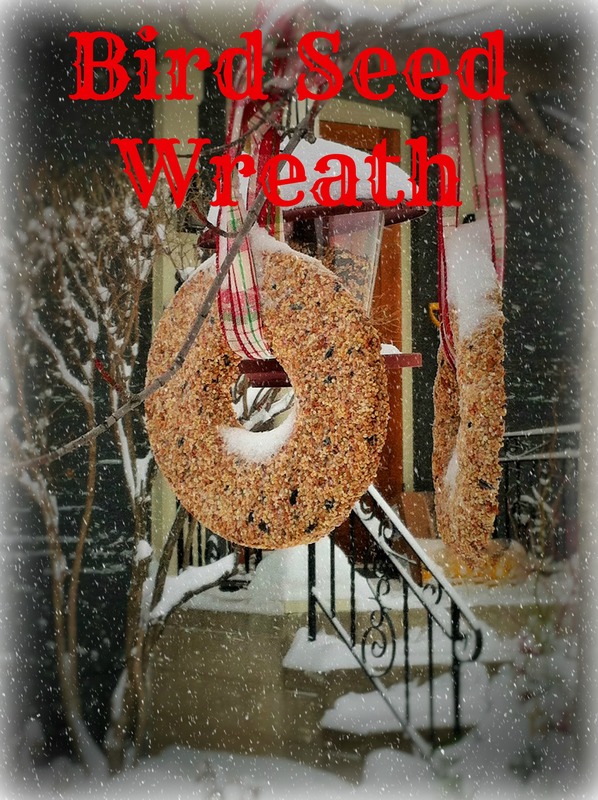 I tried using it to make two but the wreaths were so thin they just crumbled. Before Christmas I had the kids make some for their grandparents. We had quite the assembly line going. The recipe is easily doubled and simple enough that my kids could make them on their own. That is awesome Sarah!! I wish we had a mature tree to hang one of those…one day it will be strong enough. Wonderful activity for the kids and a great learning experience too.